After setting the Zim Hip-Hop circles ablaze last year with the hit Boyz ReMukute, the combination of Sinbad 90 and producer/disc jockey DJ Krimz Beatz returns with another collaboration called Chose This Life. 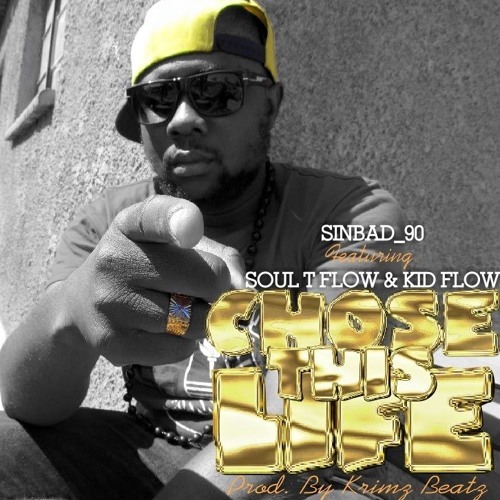 Sinbad 90, (whose government name is Innocent Stambuli) dropped Chose This Life (#CTL) the first single off his forthcoming album Broke Or Not, set to be released late this year under his record label, Dolla Sign Music. Newcomer Kid Flo (signed to Dolla Sign Music) handling the 3rd verse and delivers one of the best feature verses I've heard in a while, while Soul T Flow was on the hook, which some may find hard to stomach. The track talks about Sinbad 90's life, from his childhood up to the present-day, where he has grown to be an artiste and a family man at the same time. The track also talks about choosing certain friends, mentioned by Sinbad as the Dream Team (i.e. Dolla Sign Music, Ikonik Music Group and day one friends). Do you think they came back hard this time?